Close your eyes and picture driving up a secluded rocky road, surrounded by lush trees when you see a opening ahead. As you get closer, a wood circular structure catches your eye with a wooden bicycle leaning against the wall. Once you walk into the structure, a large body of sparkling water appears in front of you surrounded by modern furnishings. Immediately, someone walks up to you with a delicious, refreshing margarita and welcomes you to the Andaz Mayakoba Resort in Mexico. From the moment I arrived to the moment I departed this property, I felt like I was on a dream vacation that you see on the Real Housewives of New York City. It's all about the experience at Andaz. This is truly a lifestyle resort the caters to couples looking to escape the hustle and bustle of daily life, friends celebrating milestones like a birthday or families that are creating memories that will last a lifetime with their kids. The energy of this property is felt the moment you walk in. I dare say it's an enlightening and healing in a way. And to kick off your memorable time at the Andaz, you are asked to set an intention for your stay. Literally, one of my favorite moments during my recent trip. The pool in the middle of the lobby was designed to represent a Cenote, which are very popular attractions in Mexico, but also considered sacred by the Mayan people. We were given a bowl of colored crystals, asked to select one, and take a moment to set our intention for our stay before tossing the crystal into the pool. Think of it as almost making a wish for your trip and I promise, it will come true in this serene, modern and cultured-infused environment. After having a baby almost 11 months ago and throwing myself into being super wife, mom, Ad Executive, your girl needed a little R&R and this magical resort checked out ever possible amenity and requirement when looking for on unqiue vacation. Even though it's not a typical all inclusive resort that dominates the hotel landscape in Cancun, there are some great extras that Andaz Mayakoba offers. First, breakfast was included in your nightly rate at Cocina Milagros (a buffet style restaurant that featured served omelettes, waffles, cereals, fresh fruits, baked goodies and etc.) or at OllaTaco (ala carte style dining option). I only experienced the breakfast at Cocina Milagros during my stay and enjoyed a yummy, fresh green juice with pancakes and eggs almost every morning. Second, each room comes with a beach bag, flip flops, insect repellant, a flash light, free snacks (chips and chocolate) and free non-alcoholic beverages (water, sodas and juices) daily. So in case you forget something at home, they've got you covered. 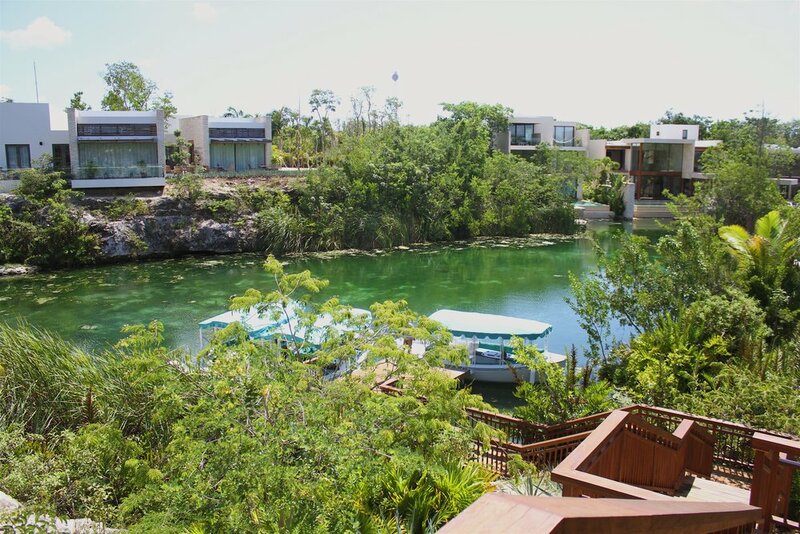 Finally, the resort also offers a free ecological tour of the Mayakoba lagoons/canals, which also connects all the hotels. This gave us the opportunity to go beyond our beautifully designed resort and experience the native wildlife, history and culture of the Mayakoba. 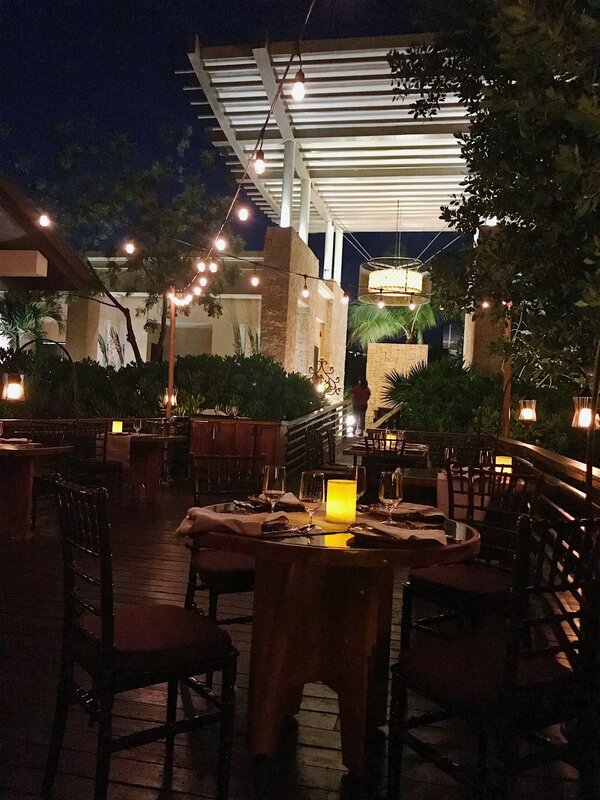 If you are looking to re-charge, experience a beautiful country, indulge in some seriously delicious food and feel completely pampered, you MUST experience all that the Andaz Mayakoba Resort has to offer. Highly recommend this hidden-gem, which isn't so hidden anymore especially since the cast of Vanderpump Rules was just there last week!